Vote For Your Favorite Ocean Designs! Today's the day–we've got a boatload of fresh ocean themed designs for you to vote on! 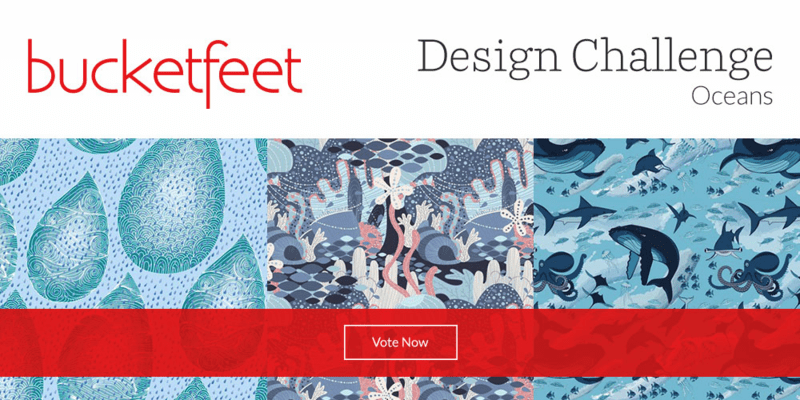 Out of over 600 entries, Spoonflower and BucketFeet have narrowed it down to the top 100 designs, and now we turn over the voting to our community to pick the top 10. Once the top 10 has been decided, BucketFeet will choose which design they would like to turn into a pair of limited edition shoes. Vote for your favorites until Wednesday, May 25th at 6PM EDT! Aaron is an artist and photographer who’s been largely influenced by an incredible curiosity about the world. 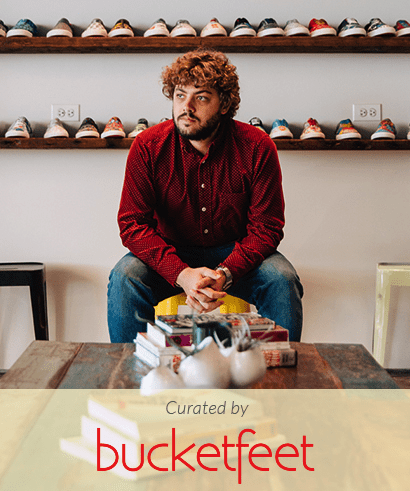 Through his passion for creativity and exploration, he helped co-found BucketFeet, a company whose mission is to connect people through art. Before we launched this Design Challenge, we asked Aaron to curate 10 of his top picks from the Marketplace for a beautiful fat quarter bundle, which you can purchase here.